for $499,900 with 5 bedrooms and 2 full baths, 1 half bath. This 2,230 square foot home was built in 1964 on a lot size of 0.2600 Acre(s). 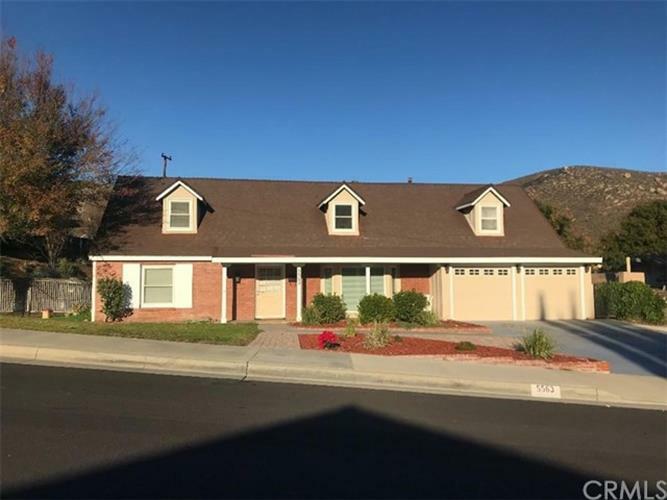 BEAUTIFUL HOME CLOSE TO LA SIERRA UNIVERSITY, FEAUTURING 5 BEDROOMS (MASTER BEDROOM WITH REATREAT AND FULL BATHROOM DOWNSTAIRS) 3 BATHROOMS...FAMILY ROOM WITH FIREPLACE... LIVING ROOM.. SPACIOUS KITCHEN WITH GRANITE COUNTER TOPS, DOUBLE OVEN AND DISHWASHER.. INSIDE LAUNDRY ROOM...BIG BACK YARD WITH ABOVE GROUND SWIMMING POOL., . 2 CAR ATTACHED GARAGE..GREAT NEIGHBORHOOD... THIS HOME IS CLOSE TO THE PARK, SHOPPING CENTERS, SCHOOLS AND THE 91 FREEWAY.